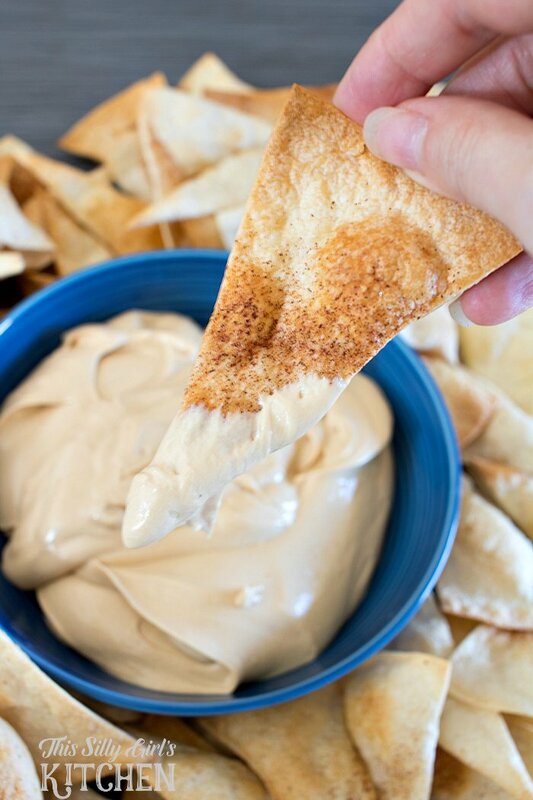 Cookie Butter Dip, luscious and creamy dip served with cinnamon sugar tortilla chips! The BIG GAME is getting closer and closer! So, naturally that means I am going crazy thinking up more recipes to serve during the game. I have my appetizers and main down but I didn’t really know what kind of dessert to make that would be game friendly. I was at Costco and spotted these uncooked flour tortillas from TortillaLand, they were in the refrigerated section. I wanted to find a way how to incorporate them into my menu, they really intrigued me. I have never gotten uncooked tortillas before so I wanted to check them out. 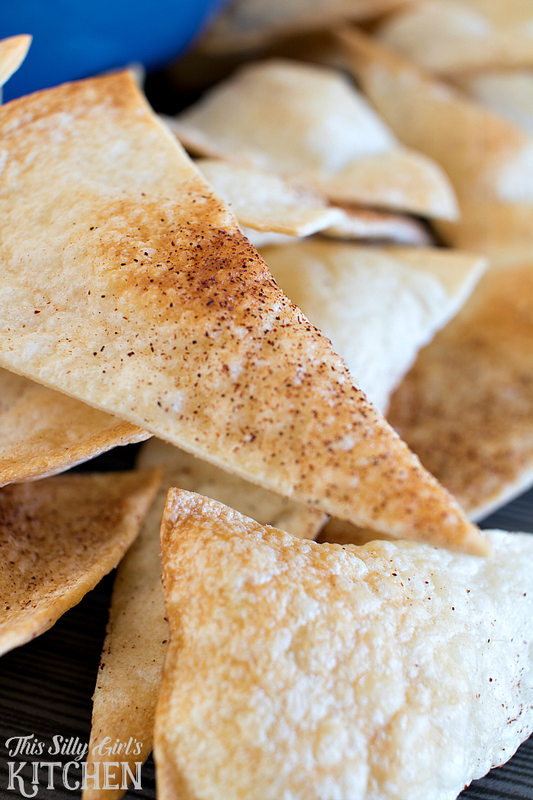 I made fresh cinnamon sugar tortilla chips out of the TortillaLand uncooked tortillas! And, woah are they insanely good! I wanted to make a super fun (and naughty!) 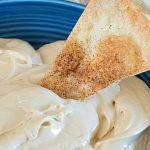 dip to go along with them, so I rummaged through my pantry and I knew right away: COOKIE BUTTER DIP!! 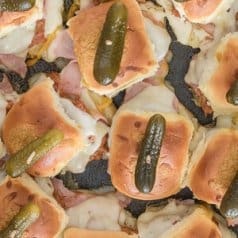 Believe me, this will be the highlight of your football party… and life. You have been warned. Preheat oven to 350 degrees. Mix the cinnamon and sugar, place in a shaker. 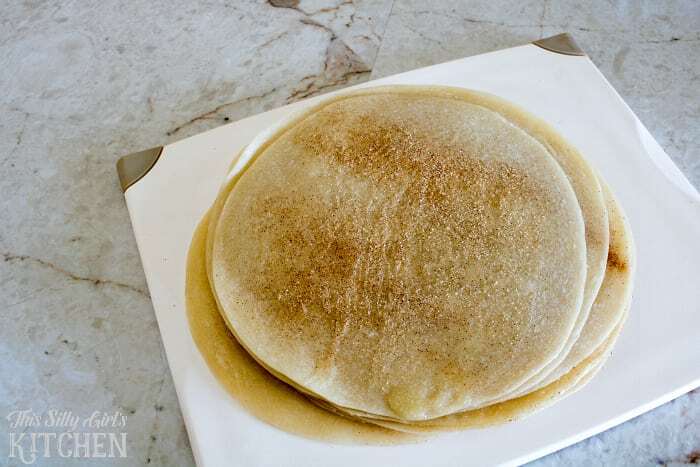 Brush the tortillas with the melted butter and sprinkle generously with the cinnamon sugar mix. Cut tortillas into wedges. Lay out flat on a sheet tray so they are not touching. Bake for 6 minutes. 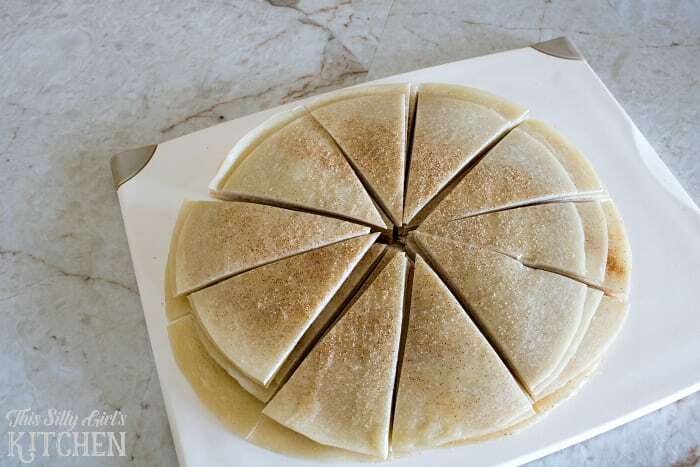 Flip over and bake an additional 6 minutes. 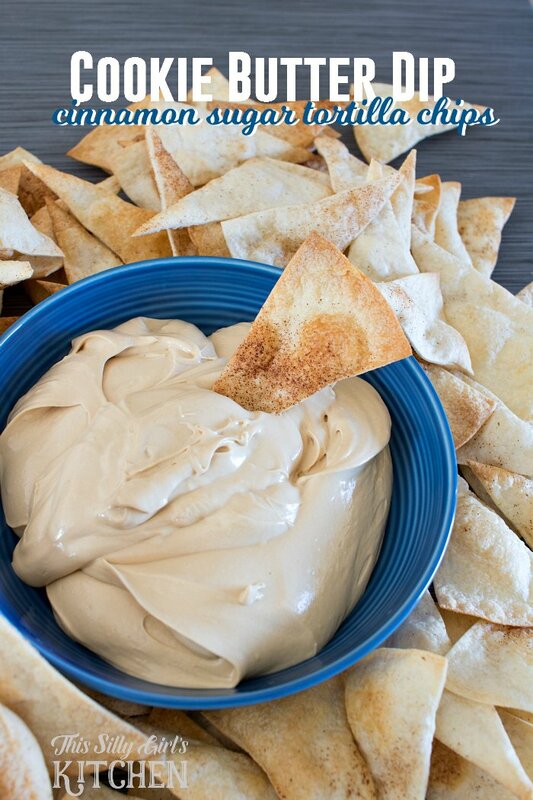 Serve with the dip. 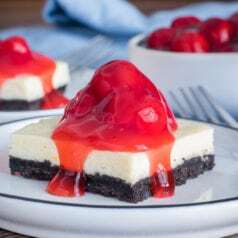 Place the cream cheese in a large bowl and with a hand mixer, whip for 1 minute until smooth and creamy. Add in the marshmallow creme and mix to combine. 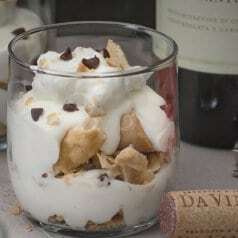 Add in the cookie butter, whip to combine and lastly add in the vodka or milk. Whip until creamy, scrapping the bowl if necessary. 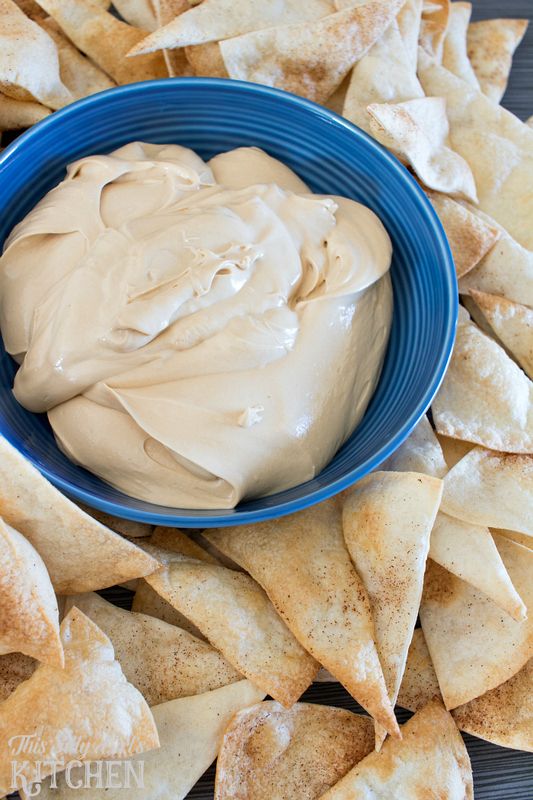 Serve immediately or chill until ready to serve, enjoy with the cinnamon sugar tortilla chips! These are by far the best tasting tortillas I have ever had. I can’t wait to make some burritos with them later this week. They are so cool, you just cook them in a pan on the stove and they puff up! For more information on the tortillas click here! Now for the giveaway! All you have to do for the chance to win a $50 Costco gift card is go to a Costco near you that has the TortillaLand tortillas available, make any dish you want with the tortillas, upload a photo of your creation and tag me on any social media of your choice and you’re entered! Deadline for this will be February 12th 2016 and I will be randomly selecting a winner on February 19th, 2016. Good luck!